A patch of bluebells growing wild in woodland is one of the most beautiful sights of the Spring. Three sprays of flowers adorn this card, which stands 11.4 cms high. 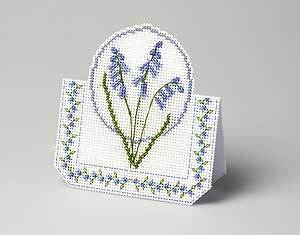 A matching Bluebell Box is also available.